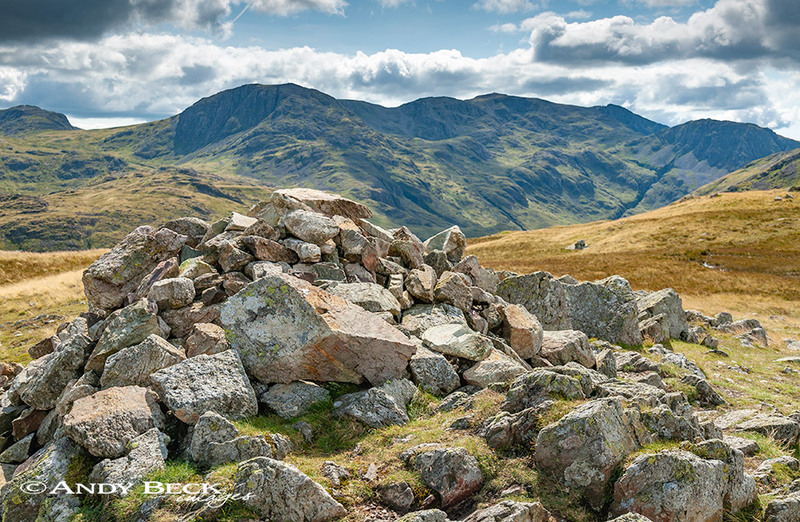 Summary: Base Brown is a fell featured in Wainwright’s seventh Pictorial Guide, The Western Fells. As it was named on both the 1 inch O.S. and Bartholomew maps which he used as his references for his fell list the hill was considered for inclusion from the start. The fell is just to the south-west of the small hamlet of Seathwaite in the Borrowdale valley from where most walkers make the ascent of this hill. The most popular route of ascent is via the path which runs parallel to Sour Milk Gill on the south side before taking a steep route up the northern end of the fell. This route is steep in places but is full of interest. The upper section of this climb can be avoided by using the path through Gillercomb once the top waterfall of the gill has been passed. The views from the summit are blocked by higher fells in most aspects but the north through to the east view provides the best vista. Base Brown is often a fell used to gain higher ground such as Green Gable and Great Gable but I have found it to be remarkably quiet considering its location. Topographical details: Wainwright detemines the height of the fell as 2120′ but this is now more accurately measured as 2119′ 646m at GR: NY22516 11464 where a rough cairn marks the highest point which is the Wainwright summit. Points of interest: Sour Milk Gill (one of three of that name in the area) tumbles down towards Seathwaite over cascades and falls, a few of which are well worth a look. Near to the gill are Seathwaite Slabs, a large outcrop of rock which is used by climbers for bouldering. On the north end of the fell is a massive boulder near the path above which can be seen the hanging boulder described and drawn by AW in the guide. Further on up is the perched boulder marked by him and still in situ. Tarns: There is a small pool of water a short distance south of the summit but this is not worthy of a visit. Waterfalls: Sour Milk Gill has several falls and cascades. Taylorgill Force is impressive especially after heavy rain. Adjoining fells: Green Gable to the south-west can be gained by following a good path. 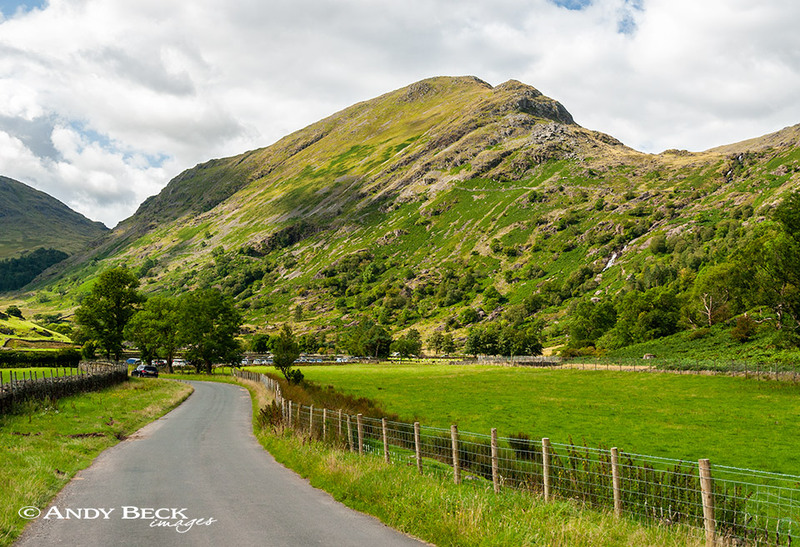 Nearest facilites: Car parking, there is limited parking (free) in Seathwaite along the roadside but do not obstruct farm or emergency vehicle traffic. Be warned, the parking area here can get very busy, so get there either very early or late in the afternoon. There used to be parking in a field near Seathwaite farm for a small fee but this has now been stopped. The nearest food, drink and accomodation can be found at The Glaramara House Hotel. Star rating: (2.8 / 5) I like Base Brown, it has some good points of interest with options for ascent depending on your mood or energy. It is easily accessed as long as you get to the car parking early.